Kids don't learn unless they get a little dirty. 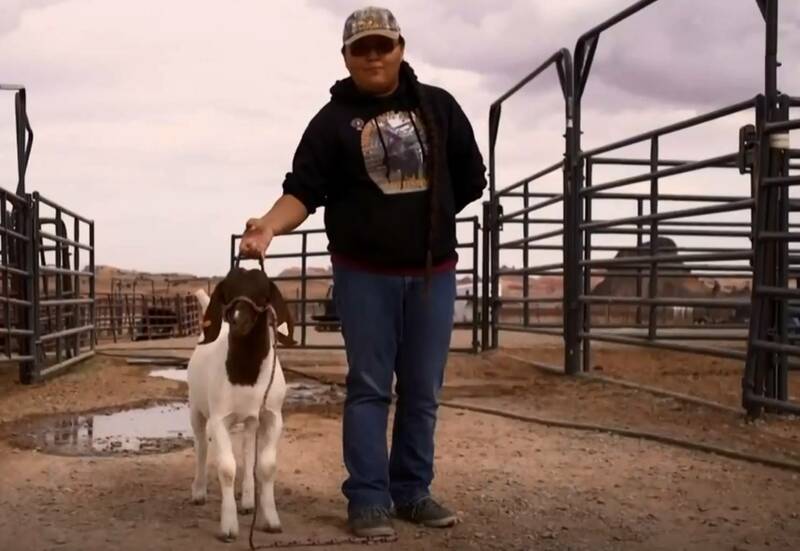 That's the philosophy of the man who runs the career and technical education program at Monument Valley High School in Kayenta, Arizona, where students from the Navajo Nation get hands-on instruction in caring for animals. Special correspondent Lisa Stark of Education Week reports on how the program prepares students for careers, college and more. JUDY WOODRUFF: Now: a classroom innovation called career and technical education, a hands-on learning method for high school students. It is seen as a practical approach for both those headed to college and for those who are not. And in the Navajo Nation in Arizona, it's making a difference. PBS special correspondent Lisa Stark of our partner Education Week brings us this story as part of our weekly segment Making the Grade. LISA STARK: This is a one-of-a-kind classroom, with a one-of-a-kind educator, Clyde McBride. CLYDE MCBRIDE, Kayenta Unified School District: My philosophy is a kid don't learn unless they get a little dirty. LISA STARK: So, in Clyde McBride's classes in Navajo Nation in Northeastern Arizona, students jump right in. CLYDE MCBRIDE: You never hold with your hands. You hold with your forearm. STUDENT: The McBrides tell us, you know, go in there. You're not going to learn anything if you just kind of stand back and just watch anything. LISA STARK: This is hands-on instruction in veterinary science, part classroom, part veterinary clinic. Students work and observe in two operating rooms, one for small animals, the other for large. They conduct exams and vaccinations in a state-of-the-art $2.4 million facility, part of Monument Valley High School in Kayenta, Arizona, and its career and technical education program; 180 students, more than a quarter of the high school, have signed up for this program, where abstract concepts meet the real world. CLYDE MCBRIDE: Before they go to surgery, ketamine puts them to sleep. It is an anesthesia. And it's calculated by the millimeter per pound. In a math class, you get the problem wrong, you miss that question. In my program, if you get that math problem wrong, that animal can die. LISA STARK: McBride grew up around animals on a ranch in Arizona. He lost his father at age 16 and figured he'd forgo college to stay home and take care of the cattle. His mother had other ideas. CLYDE MCBRIDE: I will never forget going home one day and she says: "We're going to sign papers. I just sold the ranch. You have got to go to college." LISA STARK: He became a teacher and, longing for a rural district, jumped at the job in Kayenta. CLYDE MCBRIDE: When I came up here, some of my peer teachers were like, why go to the reservation? That's going to be the worst place that you ever go to. Our school is 98 percent on the free and reduced lunch program. A lot of our communities are very, very poor. LISA STARK: But that hasn't slowed McBride, or stopped him from dreaming big. ELISSA MCBRIDE, Ag Teacher, Monument Valley High: When Mr. McBride and I first started dating, we would go out to eat dinner and he would draw on napkins his vision of the agro-science center. And I would tell him all the time, you're crazy. People don't invest money like this in education, especially in Native American children. CLYDE MCBRIDE: I wouldn't accept no as an answer. LISA STARK: It took decades to turn his dream into a reality. A new superintendent found the funding, and students helped with the design. The Ag Center opened its doors opened in 2011. This program prepares students for careers and college and much more. DR. SUZANNE SMITH, Native American Veterinary Services: It's to get the community and the kids and the students and their parents involved in a better lifestyle and better health for themselves, for their animals, and making better career choices and making better life choices. LISA STARK: And it's working. Students in the veterinary science program do better than the state average on math and English tests; 100 percent of them graduate high school, and three-quarters of them go on to college or training programs. The rest go on to a job, numbers that would be impressive anywhere, but especially for Native American students, who post the lowest graduation rates of any racial or ethnic group. CLYDE MCBRIDE: We ignite the fire. We give them that passion. We give them that leadership. And then whatever route they want to choose, then we support that route. PRESHES PARRISH-BEGAY, Senior, Monument Valley High: They made sure I didn't fall off track. They made sure I didn't — I didn't do anything to ruin my chances of going somewhere. SHELIA YENCHICK, Graduate, Monument Valley High: I didn't really have that much motivation from my parents, but here, the kids, they really have a lot of that from the teachers and the community. They really help them a lot, and then they reach their goals. LISA STARK: The program has enriched the students and their community. With the nearest vet hours away, this is the go-to clinic for the animals and livestock families here depend on. Animals are considered a sacred part of the Navajo culture. MYRON HUDSON, Senior, Monument Valley High: In my culture, it's like, if you take care of the animals, they take care of you. LISA STARK: McBride's goal is to launch his students on to college or good jobs. Many hope to come back to serve their community. CLYDE MCBRIDE: The Navajo belief, and really the way I was raised, is you want to leave this world better than you found it. And I can tell you that that's what I took into this program. And when I leave Kayenta some day, it's going to be better off than when I came. LISA STARK: I'm Lisa Stark of Education Week for the PBS NewsHour. Click here to watch full PBS NewsHour report.